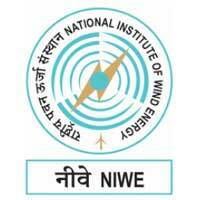 NIWE Jobs Recruitment Notification 2018.National Institute of Wind Energy (NIWE) inviting applications for the positions of Project assistants & engineers in NIWE, Chennai, Tamil Nadu on contract basis.Interested and Eligible candidates can apply for the positions. Last Date for Submission of Application is on December 26th, 2018. Applicants must be completed B.E/ B.Tech/ Degree/ M.Sc/ M.E/ M.Tech/ Diploma with relevant experience from a recognized organization/ Board. Applicants can download the application form at NIWE Recruitment 2018 from 05th December 2018 to 26th December 2018 and attach all relevant documents to send to the given address below. http://niwe.res.in/ Is the link applicants can download the application form directly. The Deputy Director General (F & A) Velachery – Tambaram Main Road, Pallikaranai, Chennai – 600100.